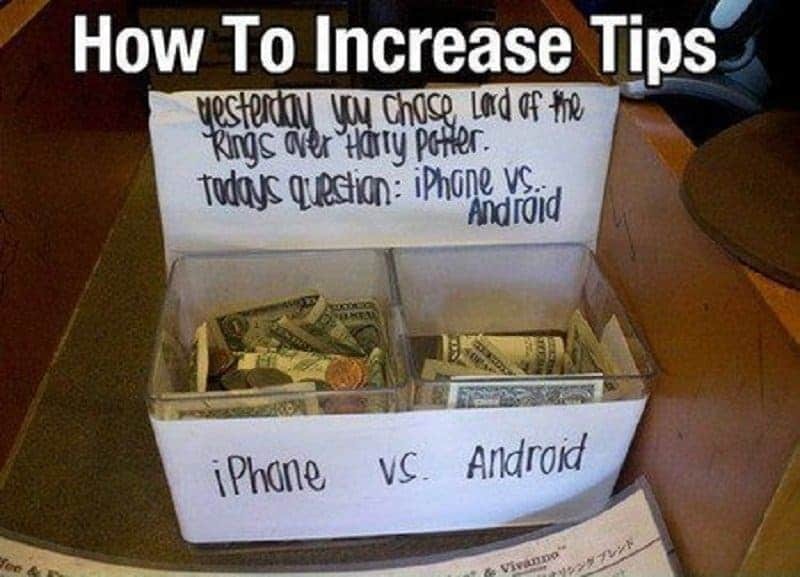 The logic here is that if you are a giving person when it comes to tips, you must be good in bed as well. No one can turn down a good cause. 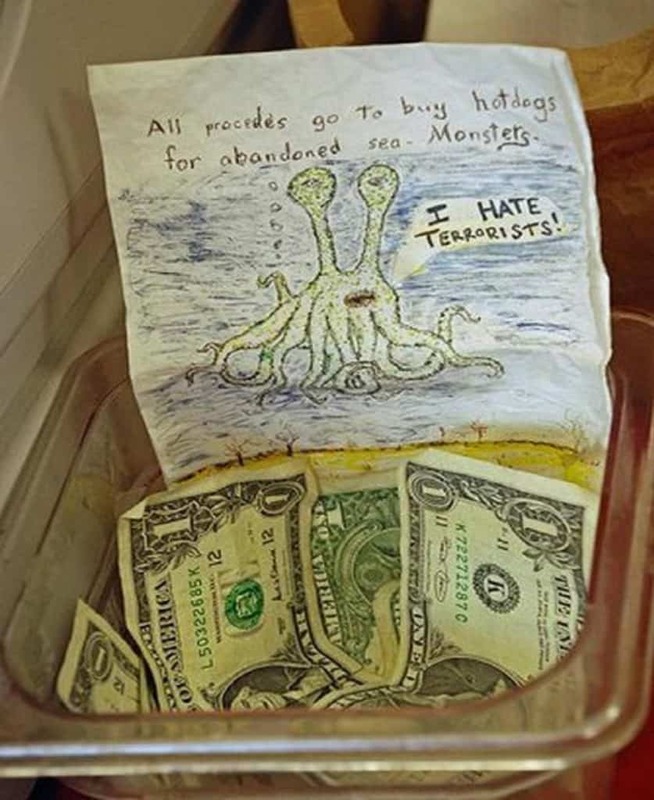 Feeding hotdogs to sea monsters is as good a cause as any to get the tips flowing. 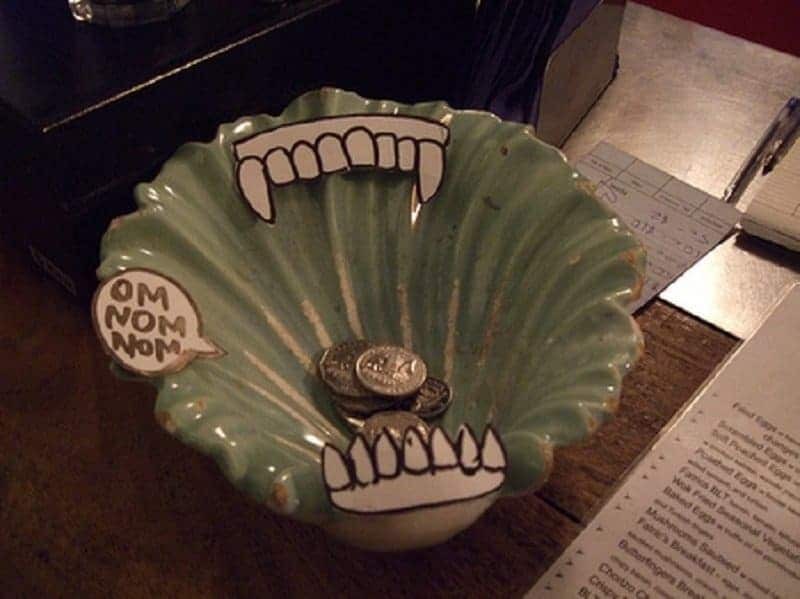 This isn’t a tip jar per se. It is merely collecting answers to important questions in the form of currency. 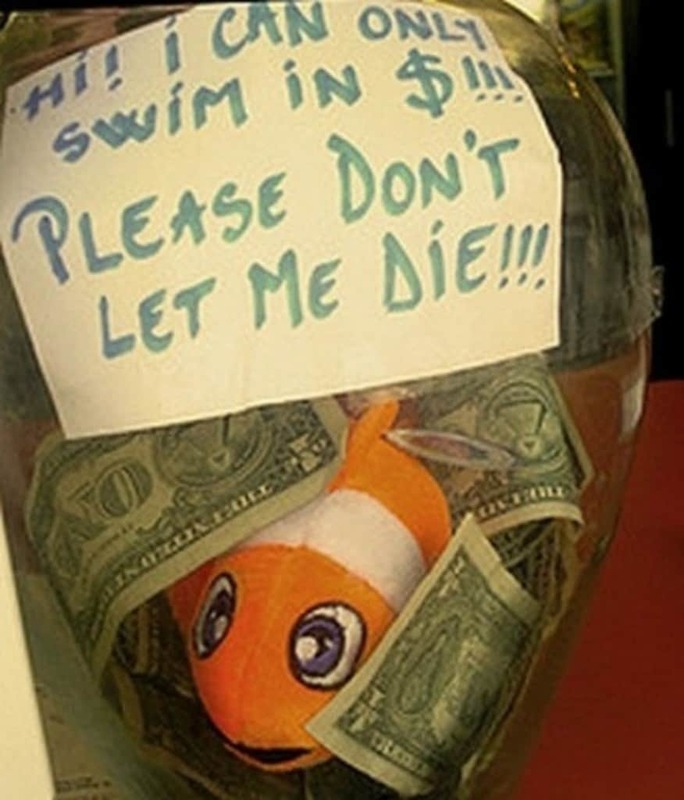 Only a heartless person would let a fish die from lack of currency. Someone throw that fish a buck, stat! 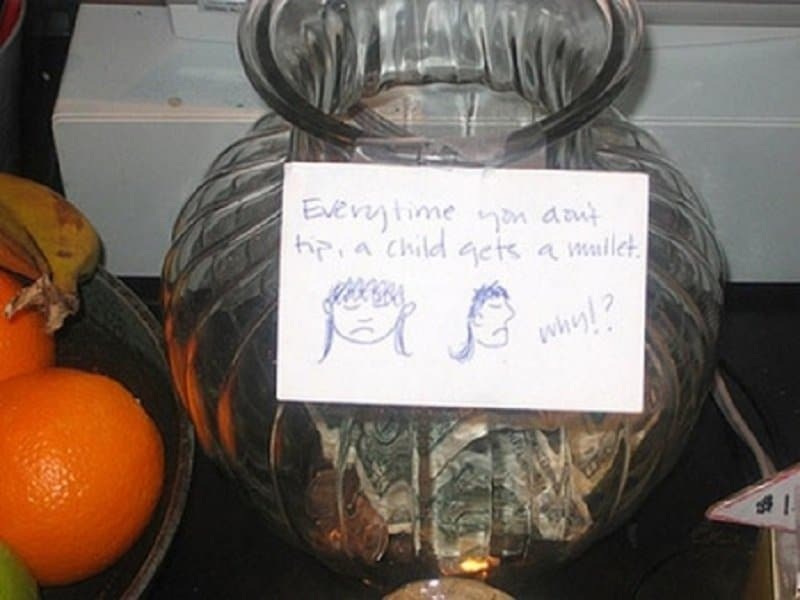 Everyone hates mullets. 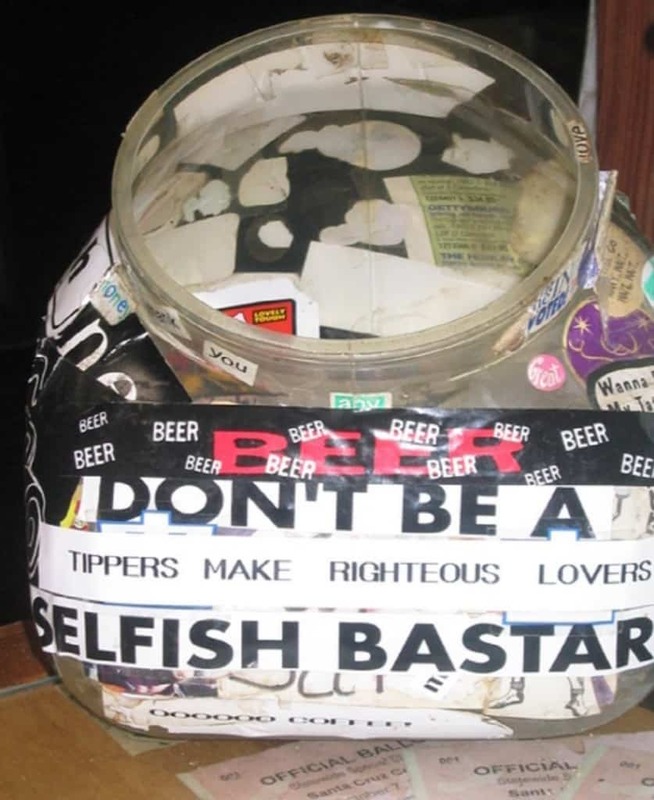 This tip jar is using the threat of a nasty fashion fad to keep the money rolling. 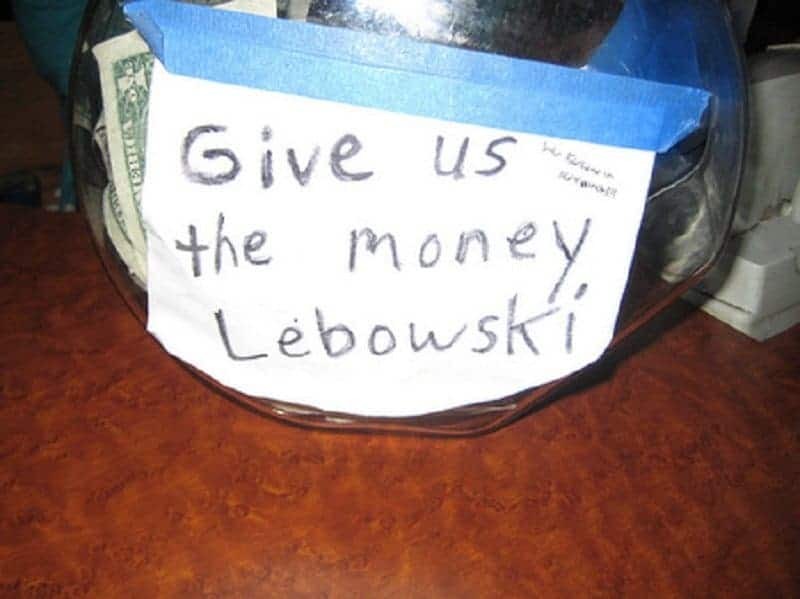 Making a reference to an awesome cult classic is a great way to earn your customers respect and their money. Don’t you hate it when change gets in the way of your life? Like when change gets in the way of having an organized wallet. 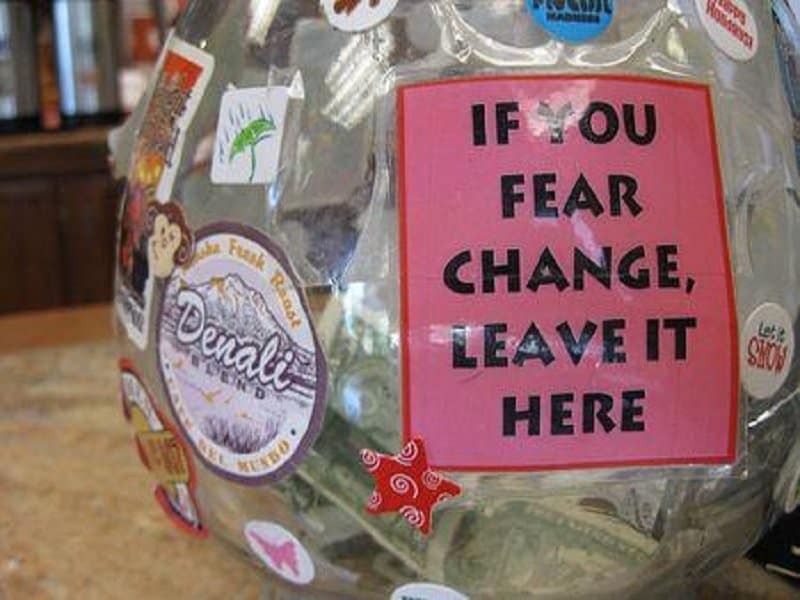 Leave it all behind in this tip jar. Not everyone has money for a tip, but nearly everyone has complaints. 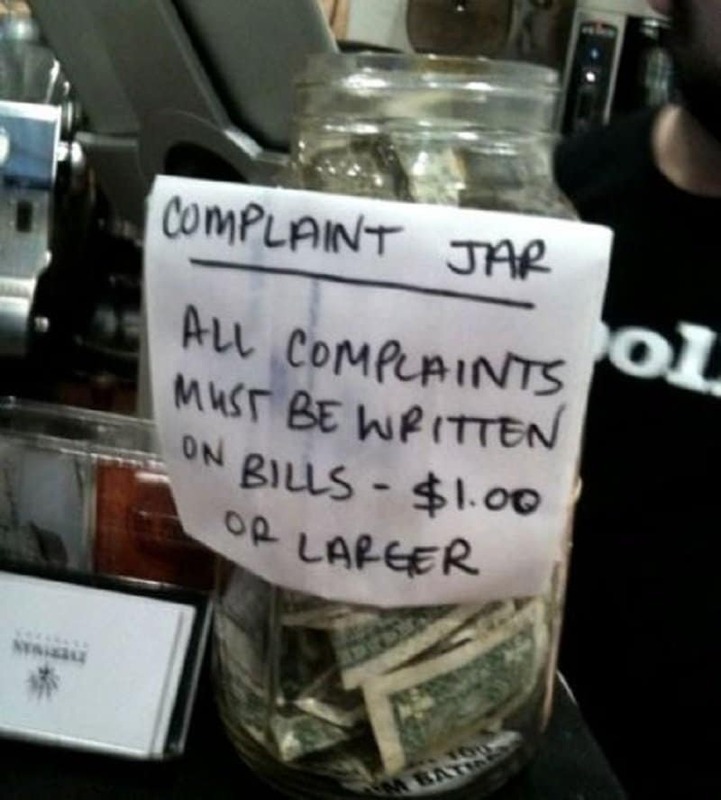 This tip jar is making that very point by disguising itself as a complaint jar.